NEWGENROCKS! begins disaster preparedness seminars - PUBLiCUS Asia, Inc. In celebration of the National Disaster Preparedness Consciousness Month, NEWGENROCKS! kicked-off its first of the “Handa sa Sakuna: Disaster Preparedness Seminars” with some youth last June 28, 2014, at Villa Erlinda, Marilao, Bulacan. Donald Maniego of the Philippine Red Cross Bulacan chapter discussed relevant information on the kinds of hazards in the Philippines, safety tips, and how the youth can be an army to mitigate and prevent disaster risks in their respective communities. NewGenRocks! 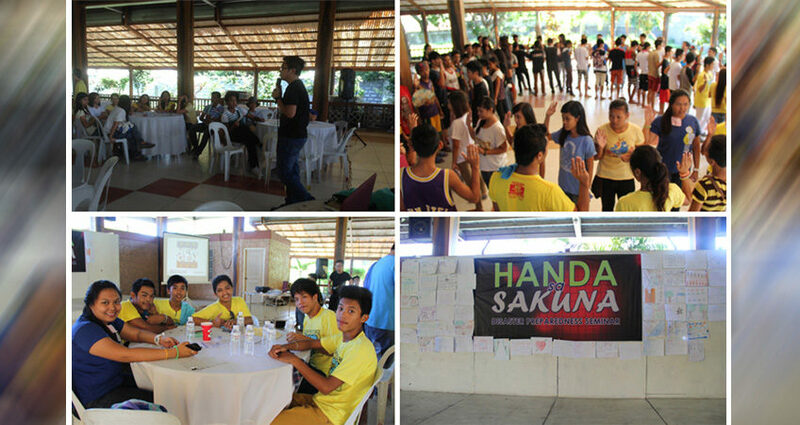 Lead Convenor RJ Barrete, enlightened the 180 participants with fun activities for them to interact with one another. The participants also shared their insights on valuing the youth’s role and capacity to contribute to the development endeavors in their respective communities during the open forum. NewGenRocks! pins sealed the participants’ commitment to the advocacy.